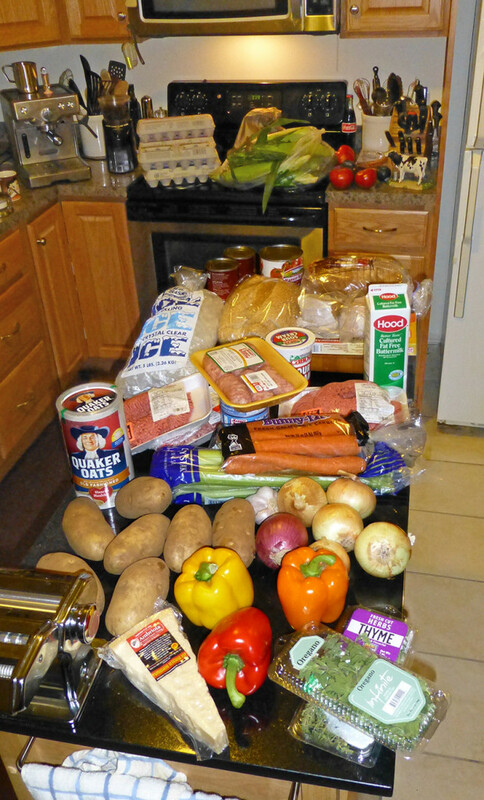 This entry was posted in Market Basket and tagged Market Basket. my golly what a haul ! No and I can’t believe you got all that for 61 bucks. I’m especially curious about that parmigiana reggiano. What does that go per pound ? As for the coming meatloaf, bet your kitchen smells nice ! Made such a big one two weeks ago that we just finished the last bits yesterday as a sloppy joe. At first I thought serving it at either lunch or dinner was a bit much, but when I overlooked it for some other thing from the fridge that i had prepared ahead of time, everyone in our moving crew said where is that meatloaf ? So had to give in. Letting it sit for a day after making it is a good idea too..I’ve learned that when making meat pates. But I’m guessing you won’t be able to wait. Mom and I both burned the roof of our mouths trying it straight out of the oven ! 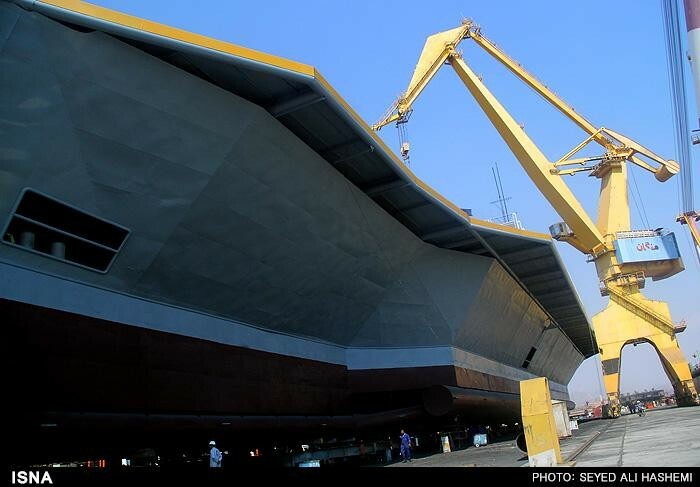 Oh, look, Iran is building a 2/3 scale papier mâché version of a Nimitz-class aircraft carrier, perhaps to go with their unconvincing scale model stealth F-313. I just cooked the test patty and it’s scrumptious — my double recipe seasoning memory seems to be good. No salt or pepper adjustment was needed. I like the ease of handling and forming the chilled mix, so I will be waiting a few hours as it firms up in the fridge and there will be good insinuation of flavours in that time. 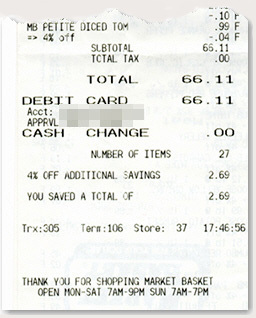 The Parmigiano-Reggiano is $12.99 a pound at Market Basket; my wedge weighed in at $12.18 and was the single most expensive item in that haul, of course. It wasn’t on sale, that’s its regular price at MB. I found the same brand on a few web sites and everybody else seems to price it at $19.99 a pound. Gosh ! Wow ! Most parmiggianos go from 24 to 29. 99 in New York City …Murray’s Cheese which has the best stuff has those prices. It is a good 1 1/2 years old and you can even eat it just off the block with a piece of fruit . An expensive dessert I grant you, but very satisfying ! For grating, I use Grana Padano which is its brother. That goes for 19.99 a pound. Grana Padano is made in exactly the same way as Parmiggiano Reggiano but just outside the physical boundary of where you can legally call your cheese Parmigiano. And for grating, good enough for me ! In France we are sold Parmigiano Regianno that is three years old and so ONLY good for grating not for eating right off the chunk. In fact we can’t get anything any younger. Italy saves it all for local consumption. If you haven’t tried a young Parmigiano, put it in your list of things to try. It’s like a candy that you will never tire of. It’s sweet and full of umami, so watch out ! You can blow your taste buds out pretty easily and it takes quite a long period to remake your “palate”. Indeed these 2year + cheeses: gruyere, emmenthal, aged mimolette, are popular the world over and full of umami ! Like ketchup and tomato paste, umami is the main reason for their popularity. The Ambriola that Market Basket sells is 24 months old and is made inside the Denominazione di Origine Protetta. It’s definitely edible on its own and so a good happy medium age, I think. The one MB used to sell, Il Villagio, was also 24 months and DOP, but I think this one tastes a bit nicer at the same price. I conked out early last night and never baked the meatloaf, so I have that occasional advantage of a forthcoming elaborate dinner with practically no work on the day. All I need to do is pop those loaves in the oven, strip the corn (and juices, of course) for Better Than Granny’s Creamed Corn, and peel carrots and potatoes. 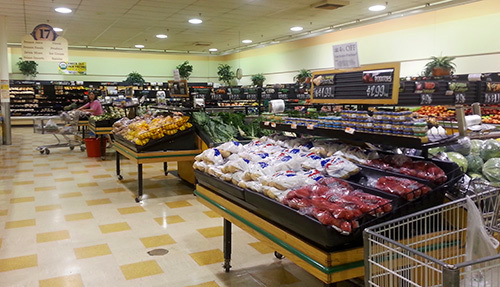 So glad there was a happy ending to the Market Basket story—i was following it each day. Funny how we get attached to our local stores, even the chains. My local chain (multi state) was bought up by Royal Ahold, who thought they could treat it like your Stop & Shop….and it’s been a mess. 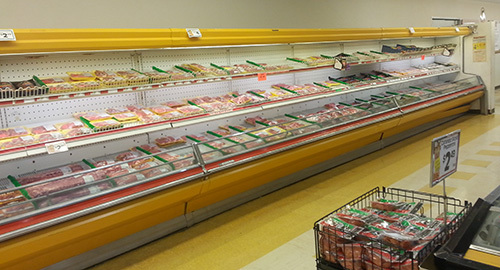 25, 30, 40 year employees are gone, in-store bakeries –gone, in store butchers–gone, familiar labels–gone, customer service, gone. Haven’t stepped foot in there in 2 years, except the day I needed a bottle of water NOW.